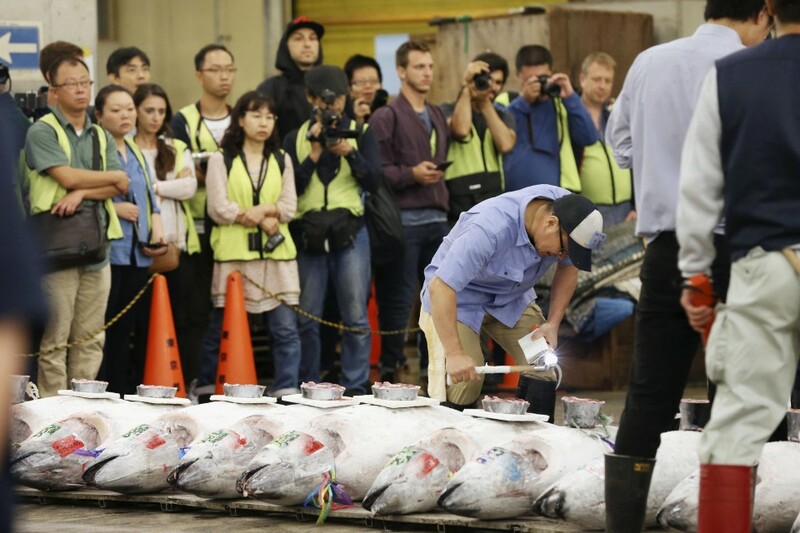 Media were invited to a tuna auction at Tsukiji fish market on Friday, a day before the public gets its last chance to attend the famous Tokyo institution at its current site before it is relocated in October. At the 6 a.m. auction, 253 frozen tuna were up for grabs, with voices of auctioneers and bidders ringing out across the arena. The first 120 visitors were admitted for free and the market was already at full capacity by 2 a.m. Enthusiastic tourists, many foreign, recorded the action with their smartphones, capturing the end of an era. 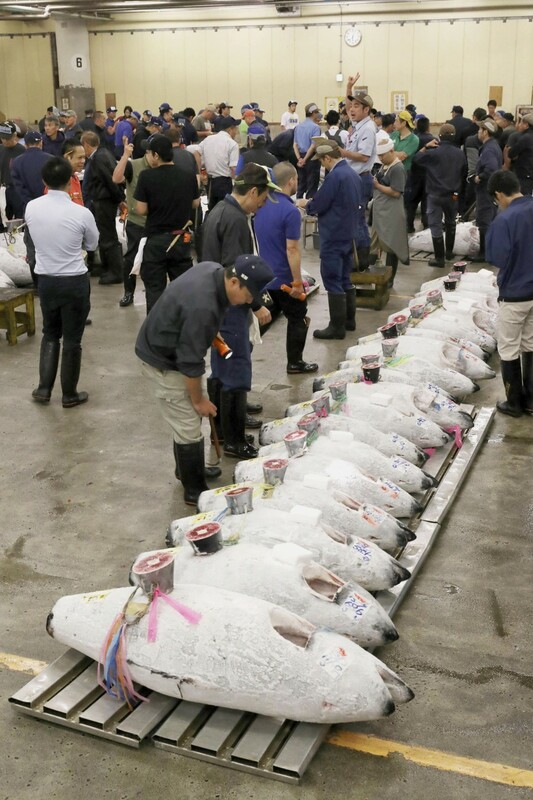 The 83-year-old Tsukiji, one of the world's largest fish markets and a major tourist draw in Tokyo, will hold its last public auction on Saturday before its move to the nearby Toyosu waterfront district. The new market will open on Oct. 11. At the Tsukiji market, visitors could get close to the auction, but at the new facility, they will be behind a glass wall on a second-floor deck. The relocation of the obsolete facilities was spurred by concerns over sanitation, earthquake resistance and fire safety. Plans to move the market, originally scheduled for 2016, have faced several delays as concerns mounted over the discovery of contaminated soil and air at the Toyosu site, which was formerly a gas plant. The current site of Tsukiji market will be transformed into a transport hub for the 2020 Tokyo Olympics and Paralympics before undergoing redevelopment.